Towards the end of the dive, at about 6 m (20 ft) depth, my weight belt fell off (the buckle came loose from the strap). I exhaled and dumped air from my dry suit as quickly as possible and tried to flare my body to increase drag. My dive buddy tried to grab me but I was dragging him up too. I surfaced and power inflated my BCD. Another diver in our party brought my weight belt up, I tried to put it on at the surface and that is when I realized that the strap came out on the female side. We therefore aborted the dive and did a surface swim to the exit point. I am fine and just glad it didn't happen at 20m (65 ft) depth. A lost weight belt need not cause a rapid uncontrolled ascent. If, for example, a diver needed 18 pounds of weight to dive with an aluminum tank then by switching to a steel tank that could drop to around 15 pounds. Putting three pounds in each of the two rear weight pockets of the BCD would leave just nine pounds on the weight-belt, effectively halving the amount of weight that could be lost accidentally, (or dropped in an emergency). Similarly, if a diver had a BCD with integrated weights then the diver could share the weight around between non-dropable rear pockets, a weight-belt, a steel tank and the two integrated pouches. 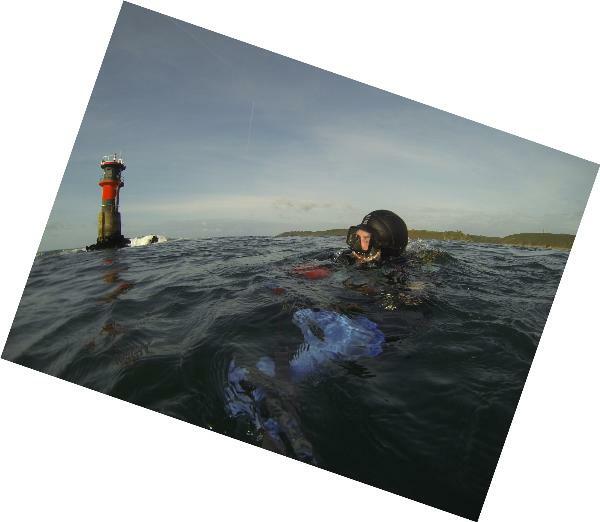 Weight harnesses are also popular among drysuit divers, as yet another way of distributing the required weight between different locations. Putting a lot of weight on a single belt is akin to putting all of one's eggs in a basket. It may also increase the tension on the buckle, making it more likely to open unexpectedly. On the upside, this diver attempted to flare out and increase her drag, to slow her ascent. In the face of an uncontrolled ascent this was the best course of action to take, and may have prevented the incident from becoming more serious. Uncontrolled ascents are relatively rare but when they do occur, every diver should remember the first rule of diving: Never hold your breath!